How to Automatically Turn on Windows 10 Dark Mode? Home / How To / How to Automatically Turn on Windows 10 Dark Mode? All you need to do is open Settings (you can press Win + I to quickly open Settings from literally anywhere) and go to Personalization > Colors. Scroll down a bit and select whatever theme fits you better from the Choose your default app mode section. As you can see there are only two options you need to manually select. Unfortunately, Windows 10 is yet to receive the option for automatic theme switch. 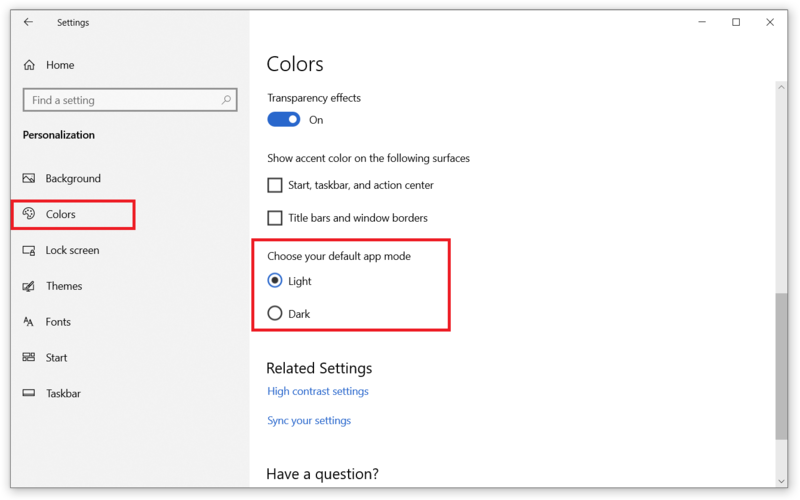 We do not know when it will be implemented but luckily there is a quirky way to force your PC to automatically enable dark mode and disable it depending on the time you select. Although it may seem a bit complicated and difficult, but there is nothing to be scary of. Simply follow the instructions carefully and you will be fine. Press Win + R and enter taskschd.msc. This opens built-in Task Scheduler. You can also open Start Menu and simply enter Task Scheduler to locate this app. 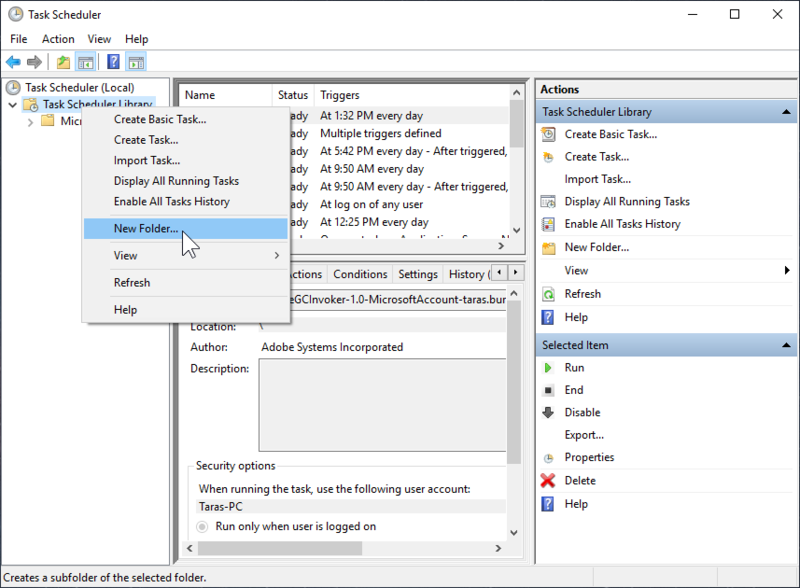 Right-click Task Scheduler Library at the left of the Windows and click New folder. This step is optional. Creating a new folder with custom tasks allows you to keep everything clean and tidy. 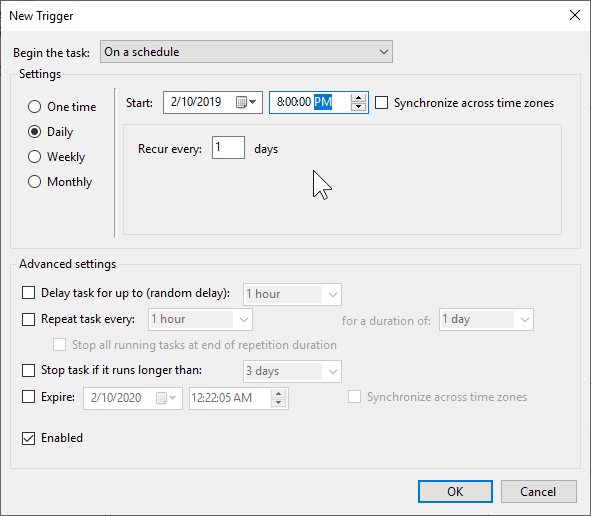 Also, it will help you to locate saved task for future editing in case you want to change hours or simply get rid of those rules. 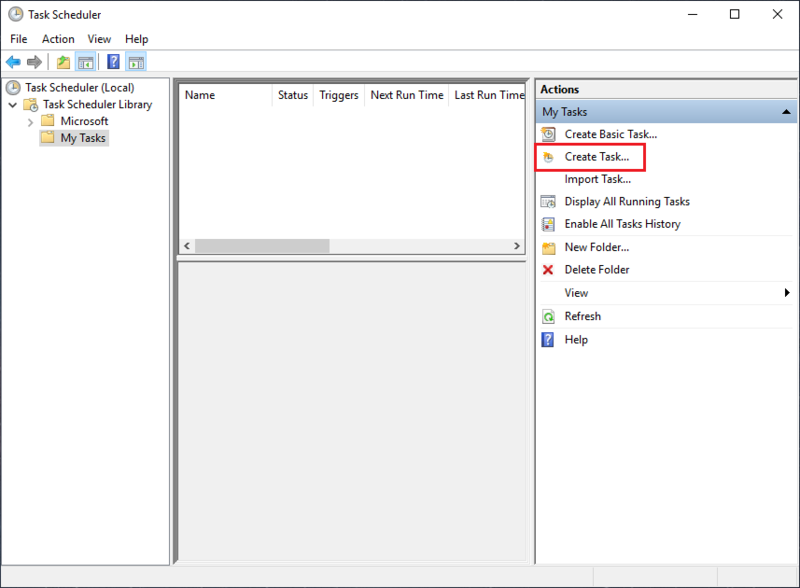 Click on your newly created folder and select Create Task from the right panel. Give your task a proper name. For example, Enable dark theme on 8 PM. Check Run whether user is logged on or not and Do not store password. Move on to the next step. Click the Triggers tab and press the New button. On this step you need to tell Windows when the dark mode should be enabled. From the drop-down menu Begin the task select On a schedule (default option), then click Daily. In the Start field enter the time you want the system to apply a dark theme. For example, 8:00 PM. Recur every should be set to 1. It means Windows 10 is to run the task every day without exclusions. Click OK.
Next, switch to the Actions tab. At this step you will tell the system what exactly it should do. Again, click New. Select Start a program from the Action drop-down menu. In the Program/Script field paste following text: %SystemRoot%\system32\WindowsPowerShell\v1.0\powershell.exe. Make sure to copy and paste it without any typos, otherwise your task won’t work. 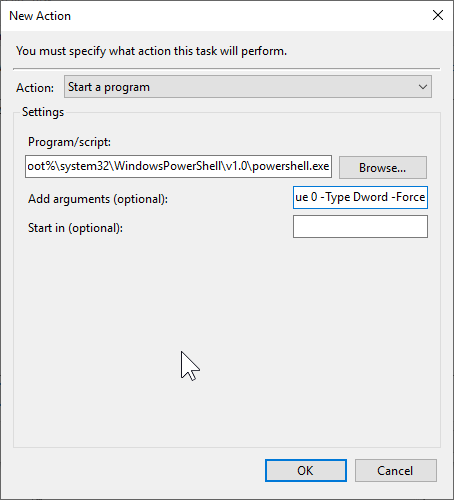 This command tells Windows to run PowerShell and execute the command within it. 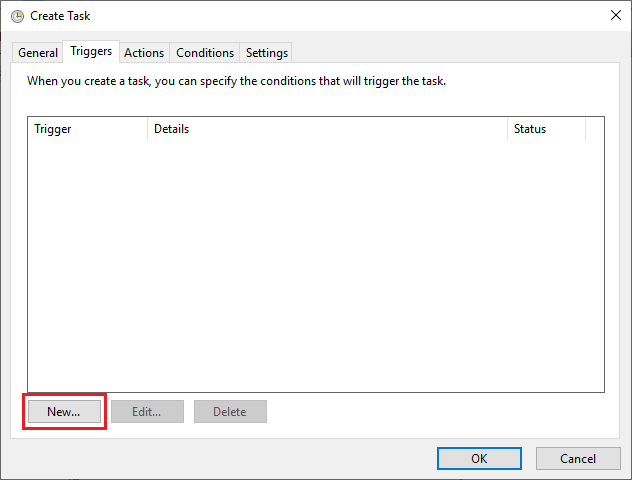 Go to the Settings tab and check the Run task as soon as possible … and If the task fails, restart every. You must enable these options if you want Windows to apply necessary changes even if a PC was turned off at the specified time. You can keep default settings—they are completely fine for this kind of task. Press OK.
You are done. 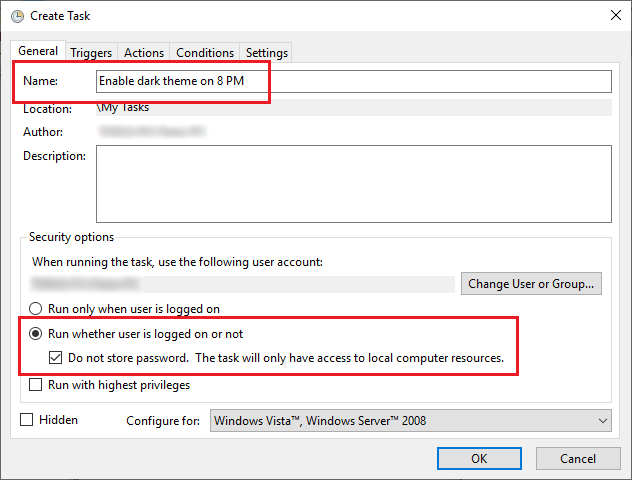 Now your PC will automatically enable the dark theme at the specified time. All you have do is to create the same task for enabling the white theme. Talking short, tell the system when it should disable the dark theme. When doing Step 8 set the proper time for the white theme to be enabled. For example, at 6 AM. Set-ItemProperty -Path HKCU:\SOFTWARE\Microsoft\Windows\CurrentVersion\Themes\Personalize -Name AppsUseLightTheme -Value 1. That’s it. Make sure the theme of your apps is set to automatic, so they automatically switch their mode whenever system’s settings are changed. Do note that some apps do not support this feature. How to Disable Automatic Windows 10 Dark Mode? 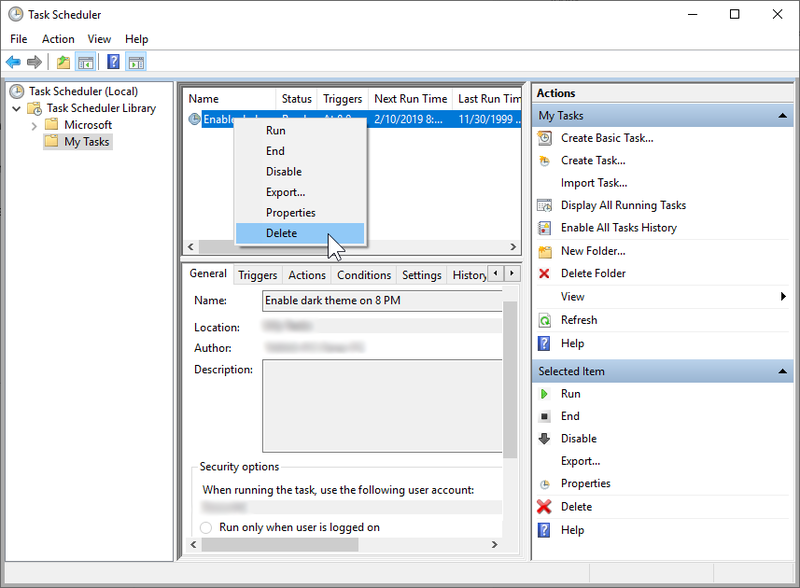 If you want to disable automatic Windows 10 dark theme, simply open Task Scheduler, open your custom folder and delete two tasks you have made before. That’s it. Now we can’t help but hope Microsoft will implement a more user-friendly way to automatically switch between dark and light theme in Windows 10. How to disable telemetry in Windows 10 Mobile?